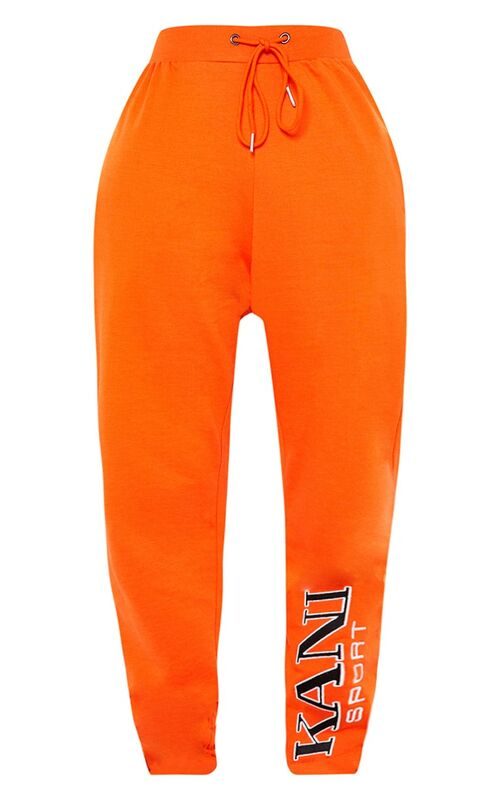 Go bright and bold even off duty with these joggers. 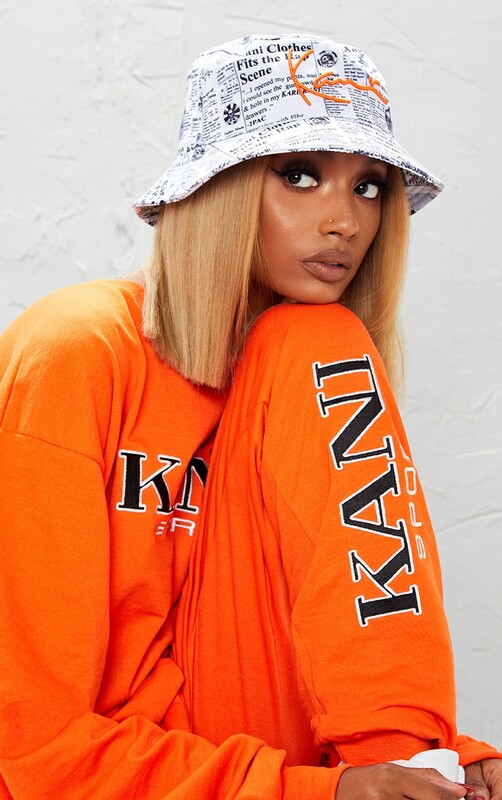 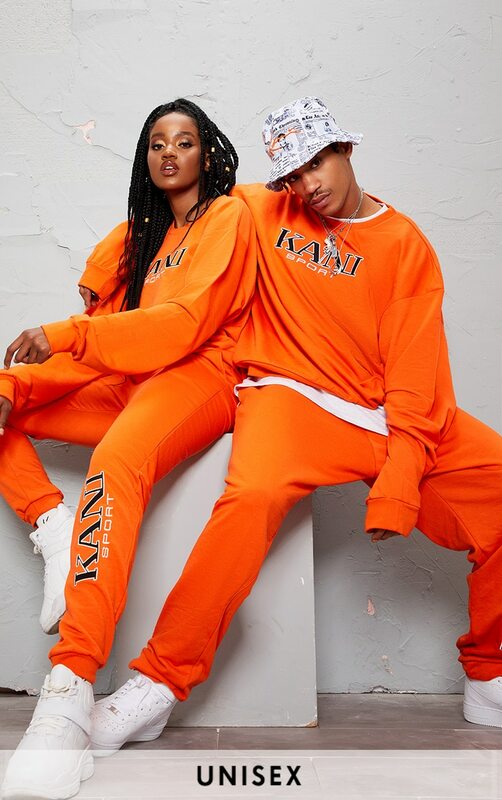 Featuring a bright orange material with the Karl Kani logo embroidered on the leg. 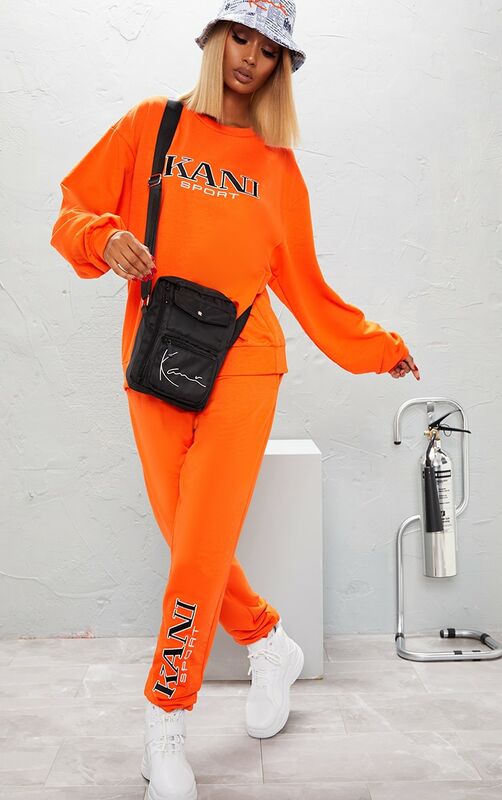 Team them with the matching sweater and chunky sneakers for a look we're loving.